It has been fifteen years since the original MIB and ten years since MIB2 so people born before 1992 probably have memories about the two previous films. Whether its fond memories of MIB or the not so fond memories of MIB2 there is the tendency true fans of the movie will flock in to see it while a number of new fans will be got to replace those that were lost due to the utter rubbish that was MIB2. I initially worried about box office receipts because there is a tendency for bad prequels to mar the eventual box office receipts of a very good movie (see Twilight: New Moon and Twilight: Eclipse) but looking at the box-office for MIB3 its obvious people were happy to wash the bad taste of MIB2 out of their mouths even though the movie may still has some way to catch up with either of the previous films’ total worldwide box-office. (I’m sure it will pass them). 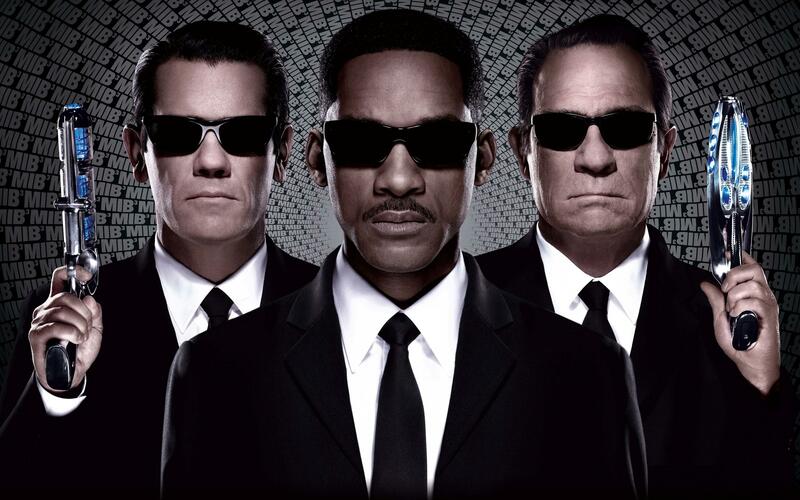 [toggle title=”Plot/Production“]We are back in the world where aliens live freely amongst us and due to their activities the Men in Black go about giving people partial amnesia and thought suggestions. The movie starts up with such an utterly disgusting albeit comic scene that set the pace for the rest of the movie; the plot is easy to follow, even with the time jumping and goes from hilarious to emotional while unfolding a really good script. It’s MIB so weird creatures, weird gadgets and weird characters are expected and viewers are not disappointed although it could have definitely been better. I missed those tiny nuisances that were featured only while packing their bags when earth was under siege, in my opinion they should have been featured more. It’s been a while since I saw Will on screen (if I remember correctly, his last movie was 2008’s seven pounds) and just like Denzel or Johnny or Robert who I really enjoy watching, I was not disappointed by his return to screen; in fact I eagerly welcomed it. Agent J is back with his quick wit and memory wiping skills and to be honest with you guys that is all I can remember about his character. I can’t really recollect what happened in the two previous movies to compare so I’m just going to go with what’s in 3. Will Smith’s funny man is entirely on the fore all through the movie and merges well with the contrasting character of Agent K as he tries to stop the end of the earth as it is by stopping Boris through K (its fun to see him try to work with K without spilling the beans on his death). Good portrayal by Will but not too excited about it. I think Avengers may have drained most of the excitement in me and raised the bar so high so early in the year, sorry MIB. Senior Agent K sure is a major contrast to the bubbly Agent J and spends most of his screen time being coy towards Agent J about the Boris’ case. It’s not until the final scenes of the movie that the main reason for that is revealed to us; in fact I’m sure a couple of people may have forgotten he was being so secretive about the case by the time the reason is revealed. His screen time wasn’t so much but he was enjoyable to watch, especially putting Agent J down. Now this was the break out character for me. It was really fun to see how Agent K was in the past; even though he wasn’t majorly different, He was still warmer than his current self and it’s great to watch a budding romance between him and Agent O while Agent J tries to get under his skin and ask him all the questions he refuses to answer in the present day. Josh’s portrayal of young Agent K is so believable and refreshing. It’s quite amazing to see the lengths this creature goes through to seek vengeance and achieve his original plan to capture the earth. He was truly a disgusting character and unlike villainous characters that generally have a motivation for all their madness, this one just seemed to be crazy (I guess it was a planetary inheritance) and didn’t want to be called an animal (even though that was the perfect description of what he was).